One of our strongest selling points is our GPS-tracked walk reports. Clients get emailed little notes when the walk is done. As you can see, these reports show where the dogs do their business, where and how far they went, and…there are pictures. The cutest pictures. The point is: all that tech has a price! That our dog-walker’s phone batteries end up paying. It’s not just the reports. Cold weather, schedule-checking, route-checking, and constant communication between walkers also takes its toll. A full day of work needs a full battery! A full reliable battery. One of our staff, Eric, noticed that his phone battery would get down to 15% at the end of the day. Cutting it a little close. External battery? These can be plugged into a phone anytime it needs a boost of juice. However, there’s a lot of potential for leash-tangling and it takes up precious pocket space – that we would rather use for treats. This wasn’t quite right. But a little more research came up with a better answer. Battery case! It acts as a bulkier phone case, leaving all buttons and ports accessible. 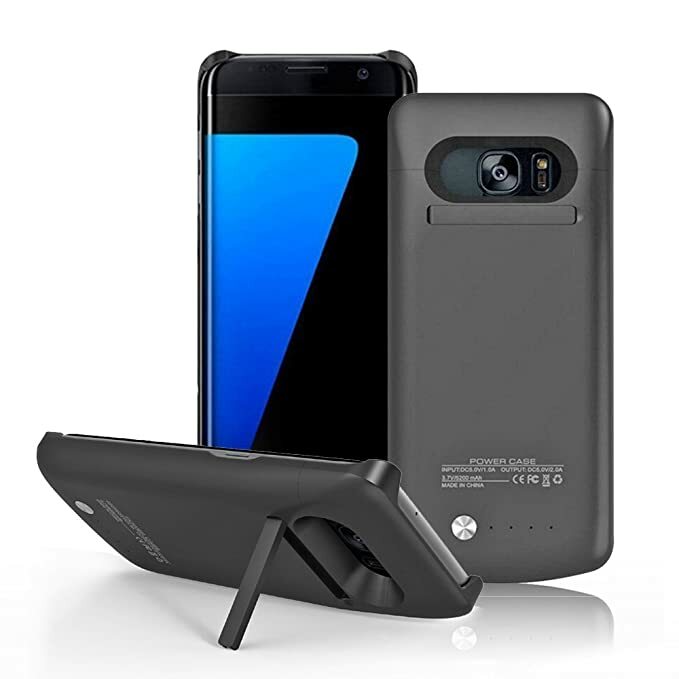 Both the case and the phone can be charged simultaneously overnight, AND you can enable/disable the extra charging as needed. It even has media features for when work is done – with forward facing speakers that makes audio louder, and a back stand for watching video more comfortably.